Dr. McCann is seated beside Negros Oriental State University (NORSU) President Dr. Joel P. Limson. 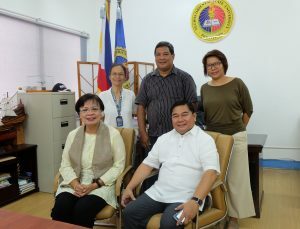 Together with them from NORSU are (L-R) Vice President for Academic Affairs Dr. Rose Marie Teves-Pinili, Vice President for Administration Dr. Noel B. Yasi and Vice President for Research and Extension Dr. Merivic G. Catada. 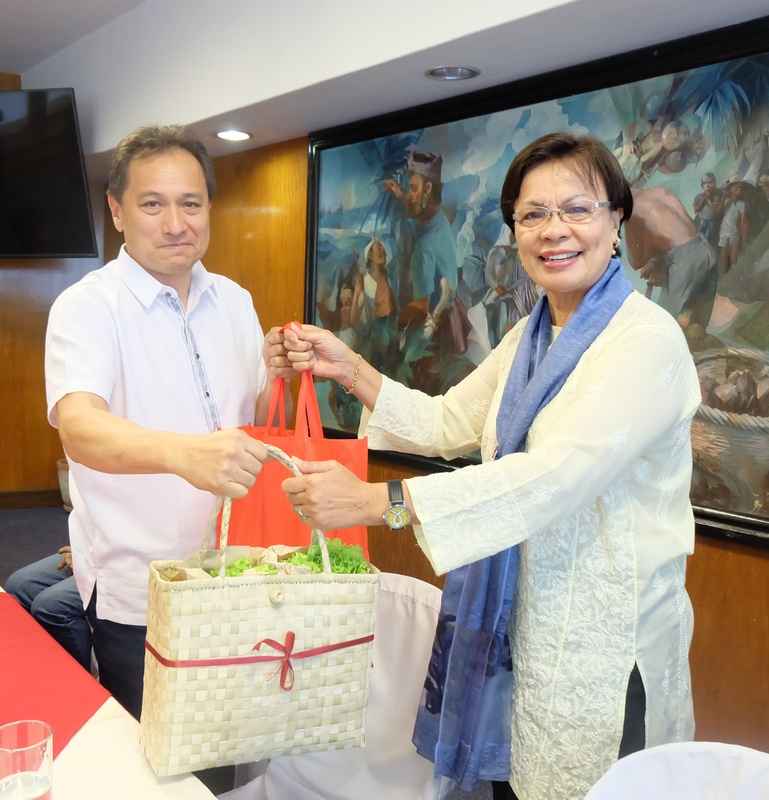 Silliman President Dr. Betty Cernol-McCann visited the presidents of two universities in Dumaguete and discussed partnership opportunities, particularly on researches and projects involving the environment. She was warmly welcomed by Dr. Joel P. Lomson, President of the Negros Oriental State University on June 26. Later on the same day, Dr. McCann met with Architect Victor Vicente G. Sinco, President of Foundation University, who hosted lunch for her. Dr. McCann exchanges tokens with Foundation University President Architect Victor Vicente G. Sinco.